This is one skincare craze I love! Coffee is one of my greatest pleasures in life and I was thrilled to hear of the benefits of coffee scrub for your skin. I love love love coffee! A caramel latté is my favourite way to start everyday. If you are here reading my blog I am hoping you also watch my daily broadcasts on Periscope. In which case I do not need to explain my love for coffee here as you will know all about my morning coffee-scope. I was first introduced to the benefits of coffee scrub in your skincare routine when I picked up the Lush Cup o’ Coffee Face & Body mask. Since then I have spotted many variants of coffee scrubs and masks on the skincare market. I had to do some more research before I truly believed that yes – coffee is amazing to drink AND to fix your skincare woes. Coffee benefits are at their best for your skin when mixed with other nourishing and soothing ingredients in the form of a coffee scrub. This is the case for Simply Argan’s Coffee & Argan Scrub with Coconut Oil & Vanilla. 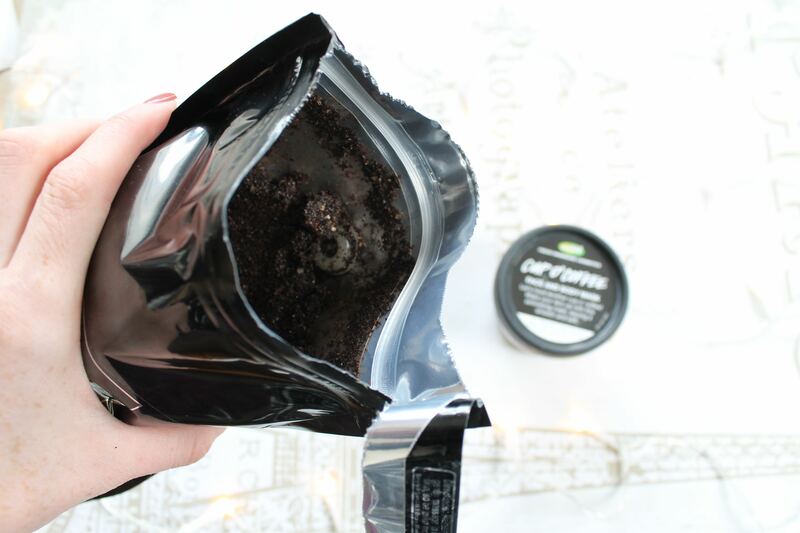 I was kindly sent this coffee scrub to try out recently and I have been loving it. 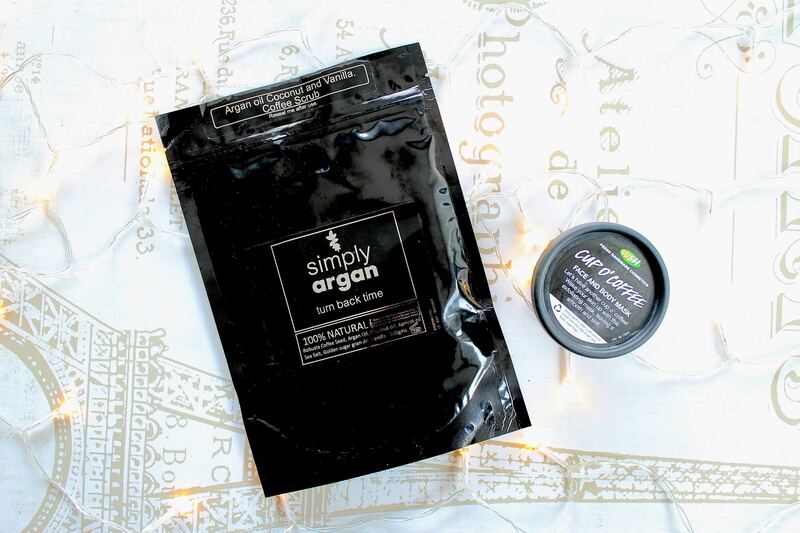 The scent is delicious and I find it much softer on my skin than the Lush coffee mask, thanks to the argan oil of course. Believe me, this will be a welcome addition to your Sunday night pampering routine. 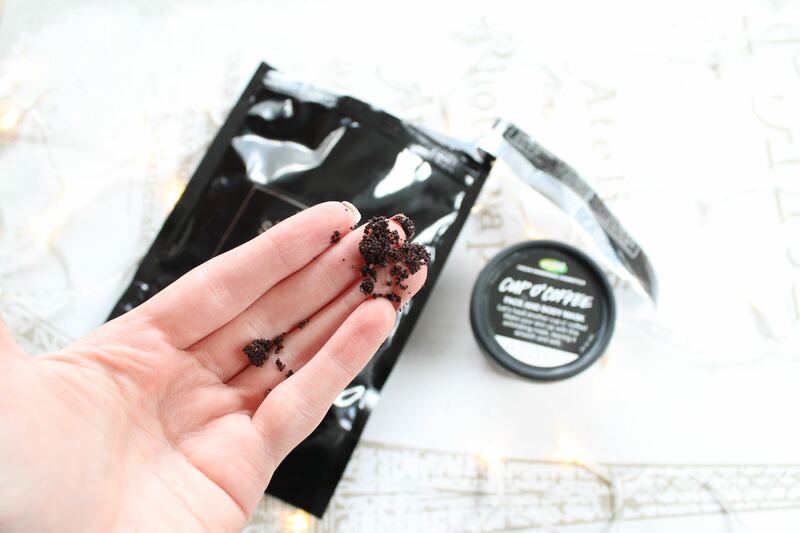 In fact as soon as I finish this blog post I am off for a nice bath and indulgent coffee scrub.I tend to use the Lush coffee mask every other week for a deep exfoliating scrub. Exfoliating – Dependant on the additional ingredients in the coffee scrub, these usually contain great exfoliating properties. Along with the coffee granules/ground coffee you will usually find a mix of sugar and/or salt. This combination brings an enjoyable ease to the process of buffing away dead skin cells. Caffeine – Coffee is known to stimulate blood flow to the skin, improving the appearance of stretch marks, cellulite and other skin conditions. Caffeine also contains a ton of antioxidants which are great for our skin including fighting the battle against premature aging of the skin. Reduces Puffy Eyes – I am a self-confessed workaholic and that means late office nights followed by even later nights at my home office. My poor eyes often bear the brunt of this as it shows in the next morning’s puffy-eyed awakening. A little tip is to apply coffee scrub around your eye area in the morning for an instant pick-me-up. Let it work it’s magic while you get ready and then rinse away. As caffeine tightens the skin, this in turn reduces puffiness around the eye area. Temporarily Reduce Cellulite – Many of the benefits I have outlined above contribute to one of the most popular benefits of coffee scrubs. That is reducing the appearance of cellulite temporarily. The combination of antioxidants, vitamins and fatty acids in coffee scrubs and the motions which it is applied (circular motions) all work together to restore the skins texture and in turn reduce the appearance of cellulite. Soothing – Coffee scrubs can be such a soothing relief for tired feet. This is my favourite benefit for sure. I spend long amounts of time on my feet, especially at the weekend or when travelling. There is literally nothing nicer than relaxing at the end of a trip with a soothing foot soak followed by gentle exfoliation using a coffee scrub such as the Simply Agran coffee scrub with coconut oil and vanilla. Say no more. Of course you can always make your own DIY coffee scrub, there are many recipes online. I would love to hear from you in the comments below. 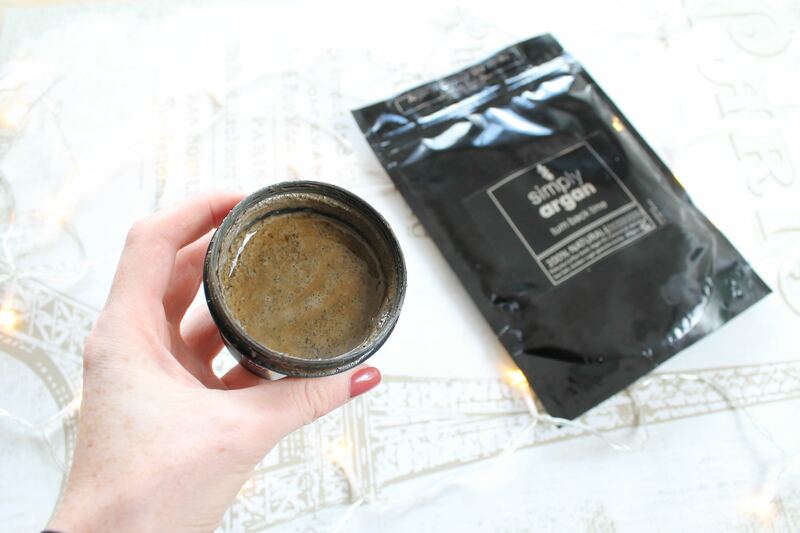 Have you used any nice coffee scrubs or made any DIY ones? I might be tempted to try a scrub. I have picked up bags of used coffee grounds in Starbucks for free and I’ve used them in my garden. I would be interested in trying this scrub. It sounds like it benefits in many different ways. I always read all ingredients due to sensitive skin issues. Can we see the ingredients?